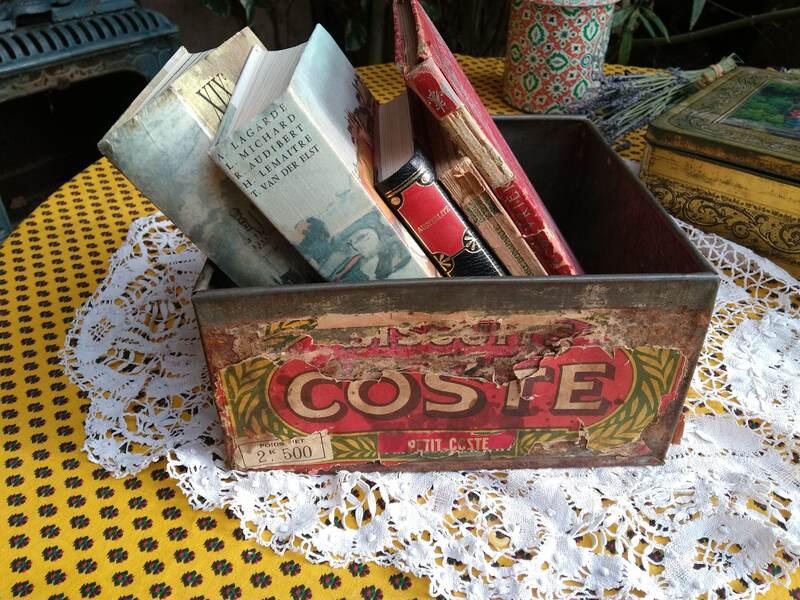 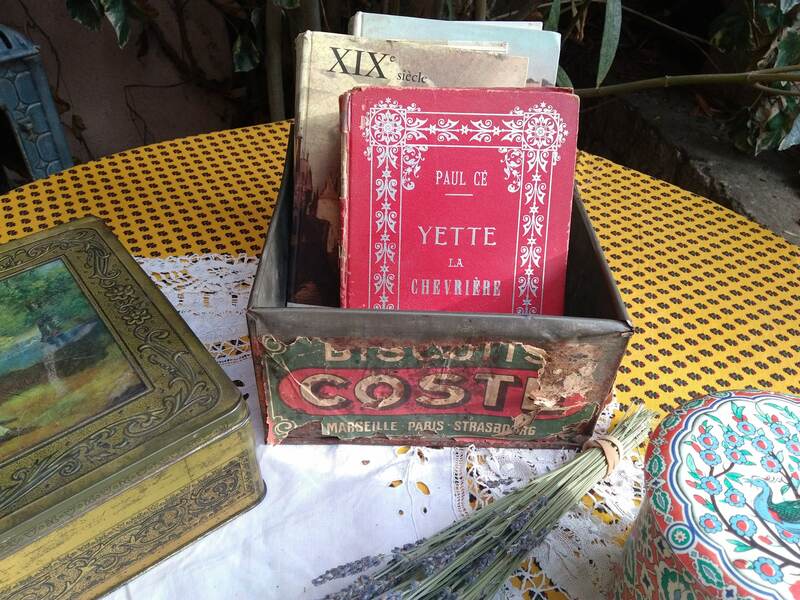 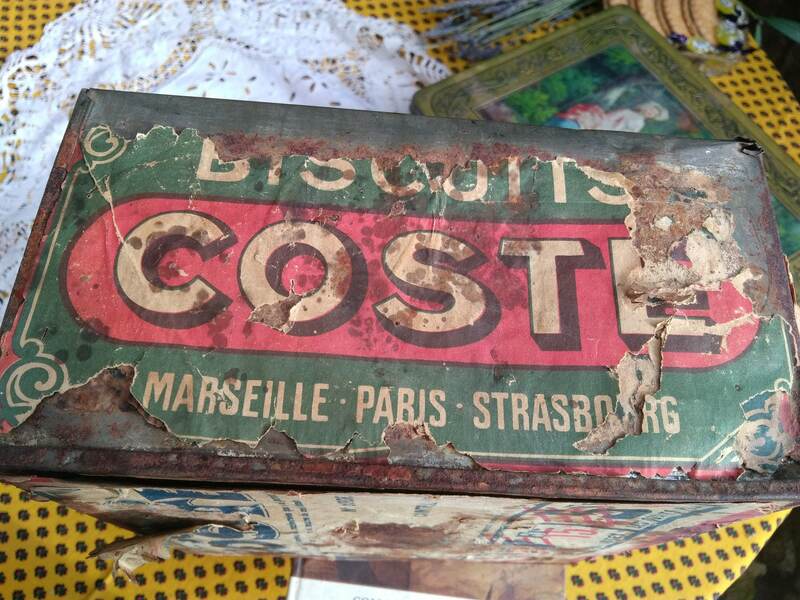 Very RARE COLLECTIBLE Antique French paper Ad biscuit tin box. 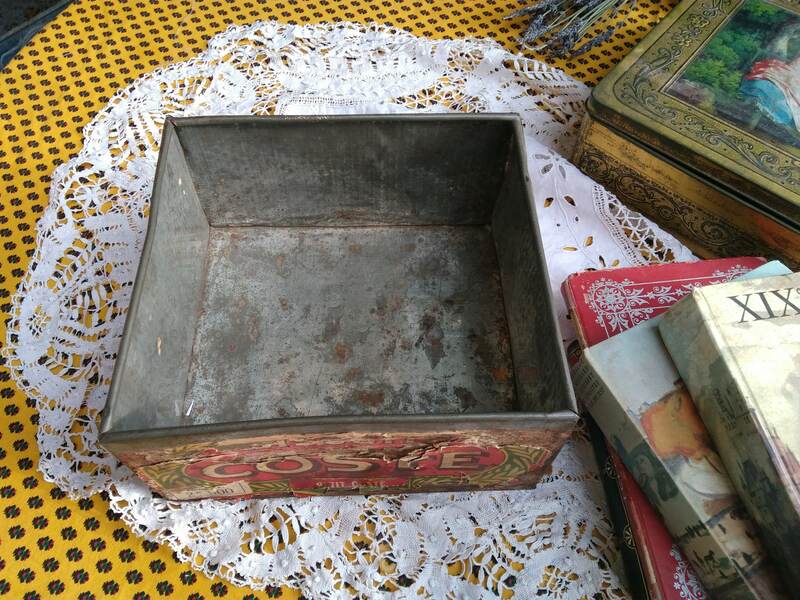 1920's toleware box. 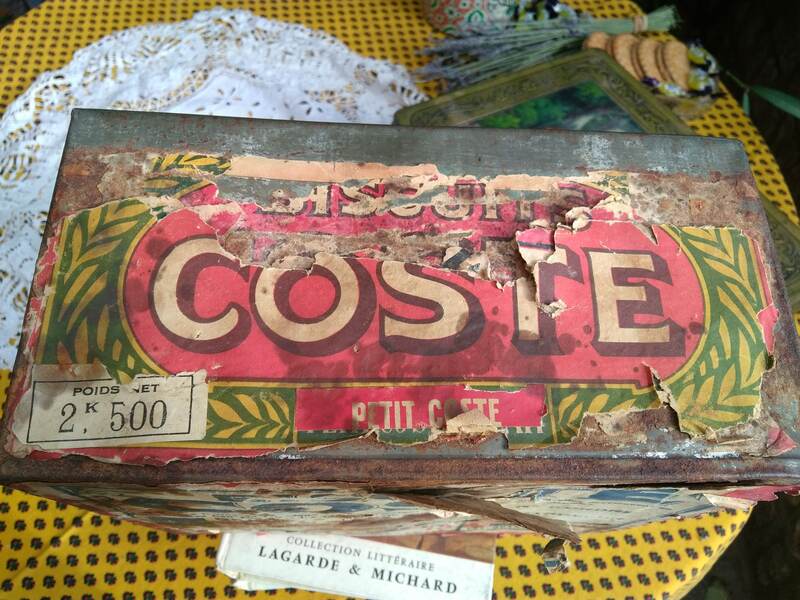 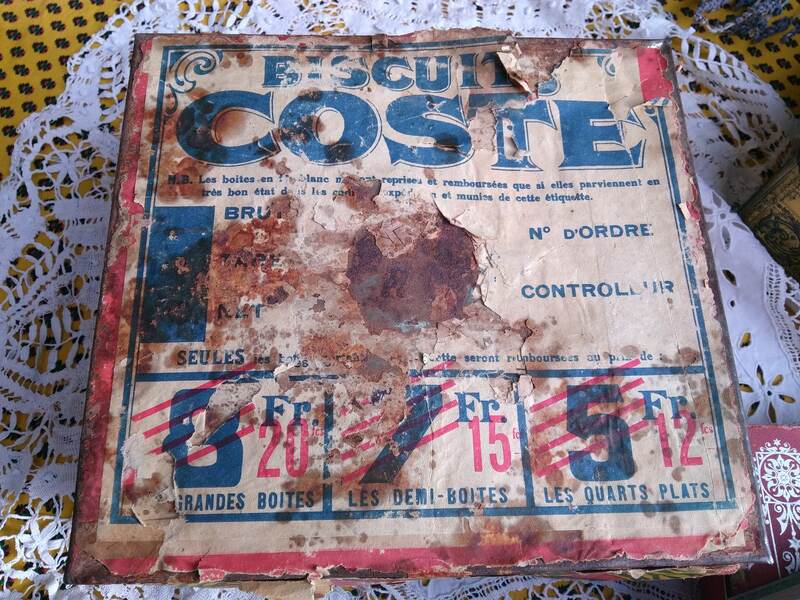 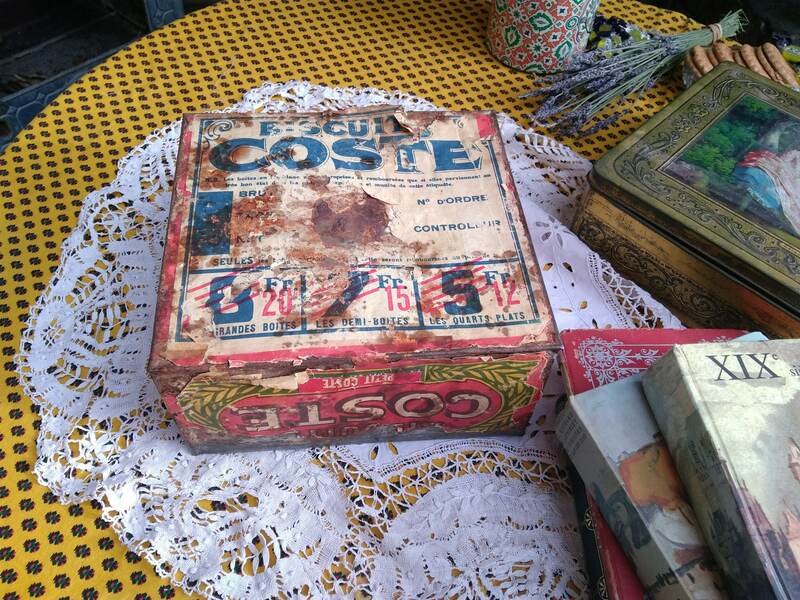 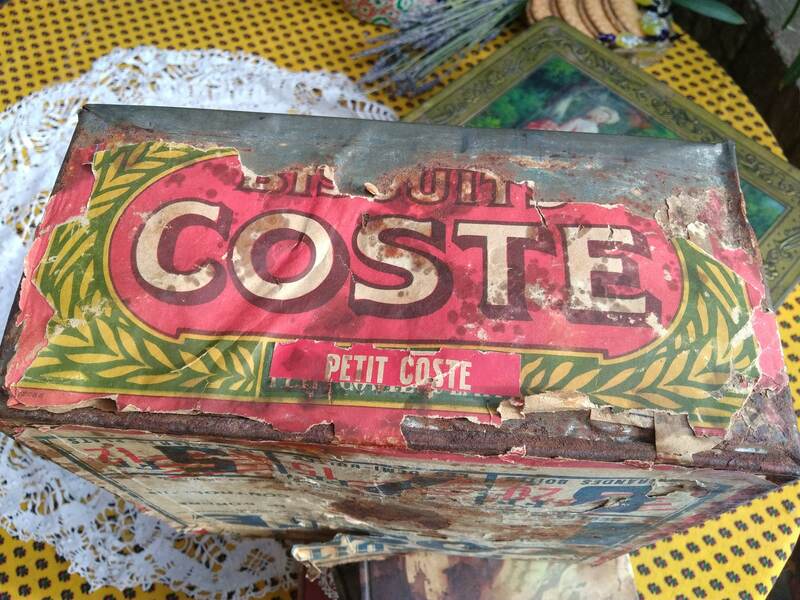 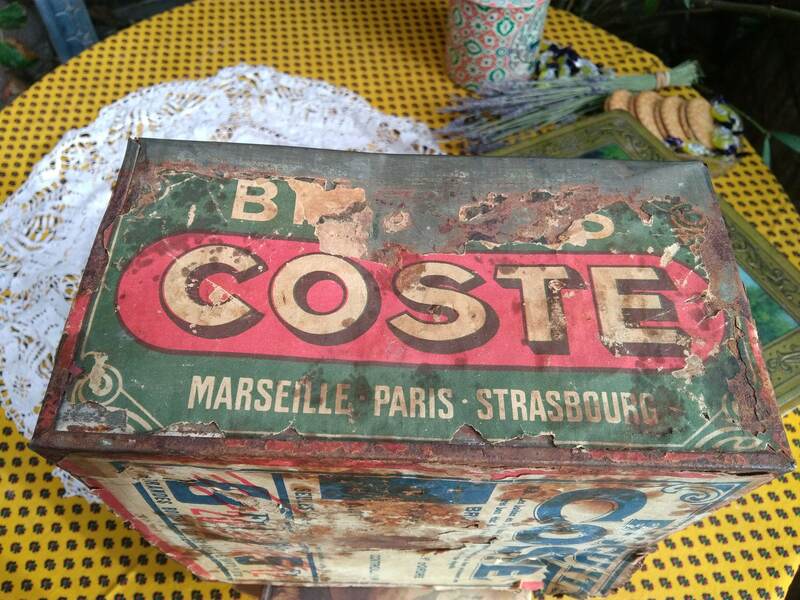 Coste was a Biscuit Company located in Marseille between 1860- 1965. 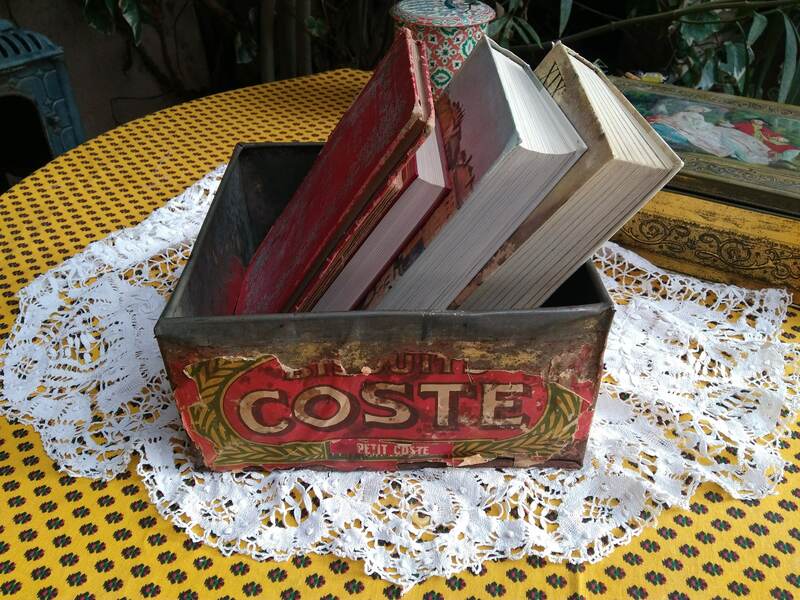 Box Size : 9 x 8.5 X 4.8 in.